At the peak of woodland wildflower season in West Virginia, Babcock State Park is offering midweek discounts at its rustic and classic cabins. Guests who rent a cabin for two-or-more consecutive nights will receive a 20-percent discount through May 24, 2017. Each year visitors from throughout the U.S. visit the park to photograph its landmark gristmill and Appalachian wildflower ecosystem, according to assistant-superintendent Sean Pettrey. The “Hello Springtime” discount cannot be combined with any other discount or rate packages. A list of special events at Babcock State Park is available at www.babcocksp.com. 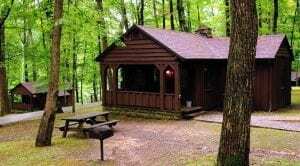 To make cabin reservations, call 304-438-3004 and ask for the “Hello Springtime” discount.